What are Pokemon GX Cards? Pokemon GX cards operate similarly to ex cards but with an added twist. Like both ex and EX, GX monsters give your opponent two prize cards when they're defeated rather than the usual one. However, they compensate with high HP (Hit Point) and attack values. Like ex cards, they assume their normal point in evolution; you can't play upgraded forms as basic cards like with EX monsters, you must first evolve them from prior evolutions. So what makes GX cards different from ex? Well, they wield unique GX attacks, based on the Z-move mechanic from the Sun and Moon video games. Like Z-moves, you can only use one GX attack per battle; not one per Pokemon per game, just one per game. Thus, you'll want to think carefully about which GX cards to include since you know that, at best, you'll only be able to pull off one of their ultimate strikes. 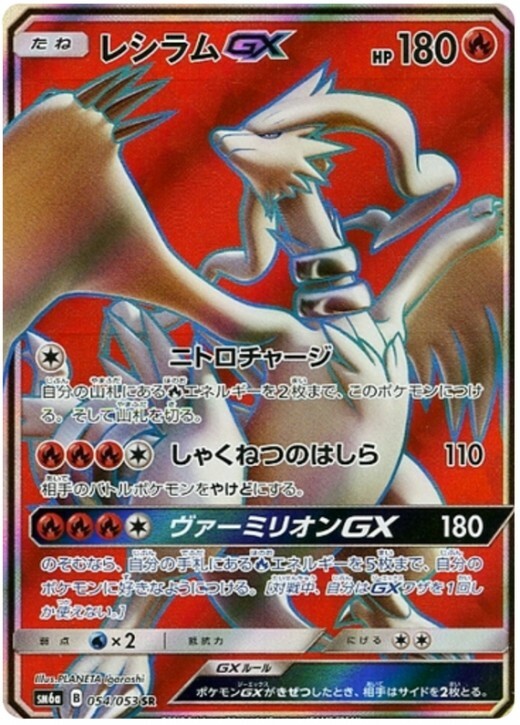 That's not to say that the non-GX attacks they offer are bad; in fact, these are some of the best cards we've seen yet. But with dozens of entries to choose from, which reign supreme? 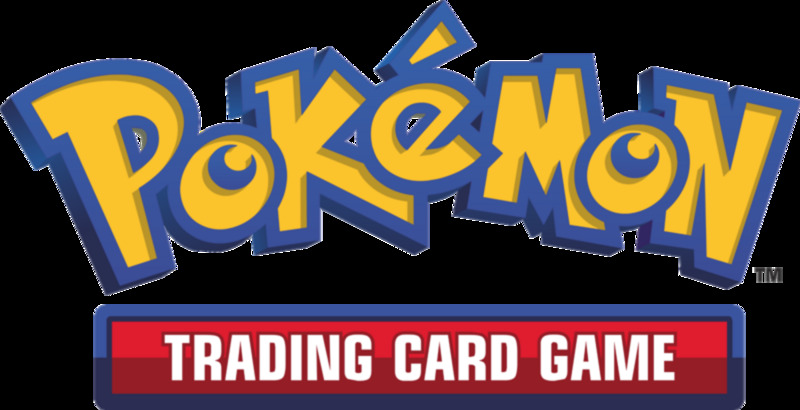 These are the top ten strongest Pokemon GX trading cards! Spatial Control (1 energy): You may move any number of energy from any of your benched Pokemon to this Pokemon. Hydro Pressure (3 energy): Deals 60 damage plus 20 more for each Water energy on Palkia. 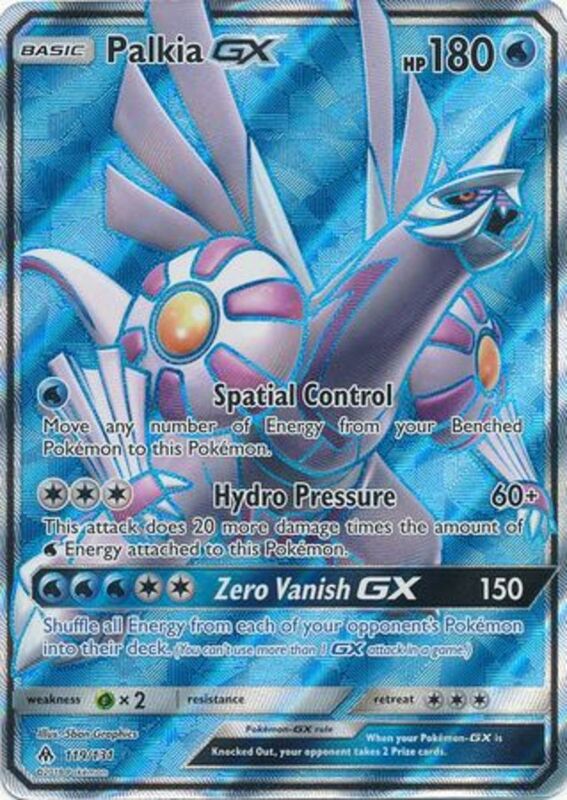 Zero Vanish GX (5 energy): Scores 150 damage and shuffles all energy from all opposing Pokemon into your opponent's deck. Simply put, these abilities make for a great mid or late-game combo. 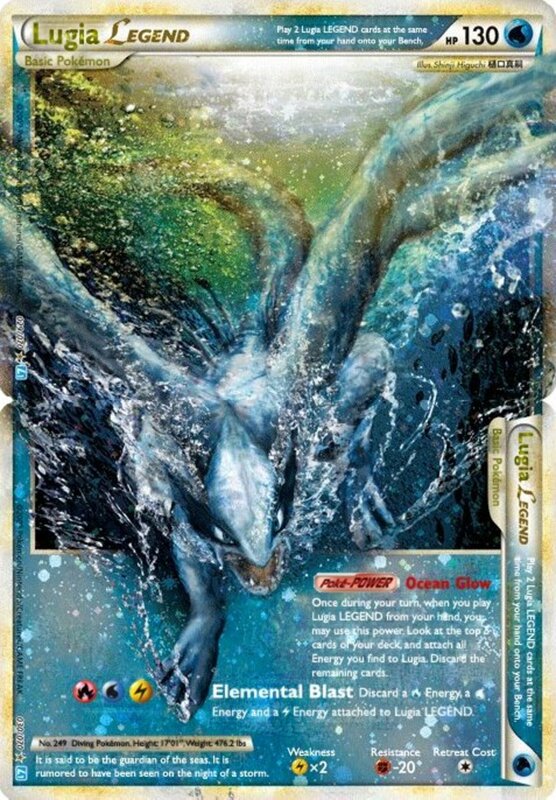 Rapidly assemble Water energy with Spatial Control, then either inflict some sweet damage with Hydro Pressure or use one of the best GX attacks in the game to not only inflict a daunting 150 damage but remove all opposing energy, leaving your opponent in a desperate position they're unlikely to recover from. Unfortunately, Palkia doesn't bear a resistance a d needs three energy to retreat, but its awesome attacks and different elemental options more than compensate. As a Stage 1 Pokemon, you must evolve Lycanroc from its prior form, Rockruff. However, Lyranroc offers three nice attacks, and since none go above three energy, you'll soon max out its options, letting you begin attaching energy to other Pokemon. Crunch (2 energy): Deals 30 damage and discards an energy from the defending Pokemon. Accelerock (3 energy): Slams for 120 damage. 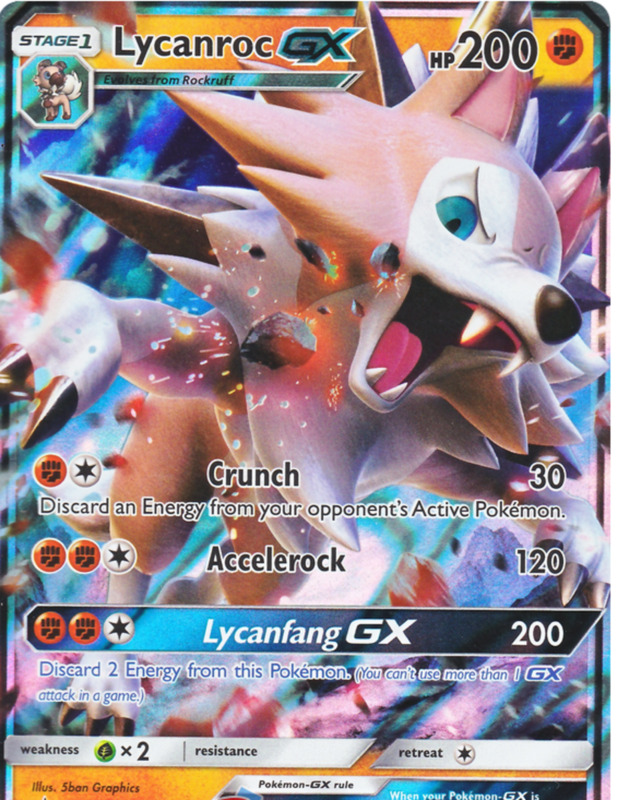 Lycanfang GX (3 energy): Grinds 200 damage, but you must discard two energy from Lycanroc. Crunch impresses, costing just two energy. Its 30 damage isn't spectacular, but you discard an energy from your opponent, often letting you stall them indefinitely since you'll be removing energy as fast as they can attach it. If they have no energy or you simply want more damage, Accelerock smashes out a sweet 120 damage, defeating most foes in two hits. Lycan Fang nets a stellar 200 damage, but since you have to discard two energy from Lycanroc, it's not the greatest GX move available. Still, it's nice to have options, and sometimes that extra damage is worth the price. Finally, Lyranroc has a retreat cost of just one, letting you easily switch it to recover from status conditions. 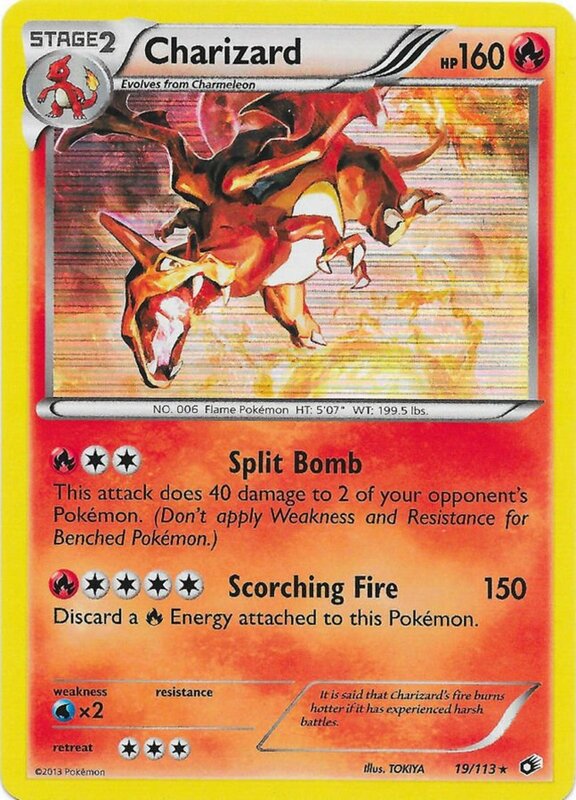 Flame Charge (1 energy): Search your deck for two Fire energy and attach them to this Pokemon. Scorching Pillar (4 energy): Deals 110 damage and burns the defending Pokemon. Vermilion GX (4 energy): Lands 180 damage and lets you attach up to five Fire energy from your hand to your Pokemon in any manner you wish. Reshiram works almost like Palkia except its energy-gathering is more reliable. 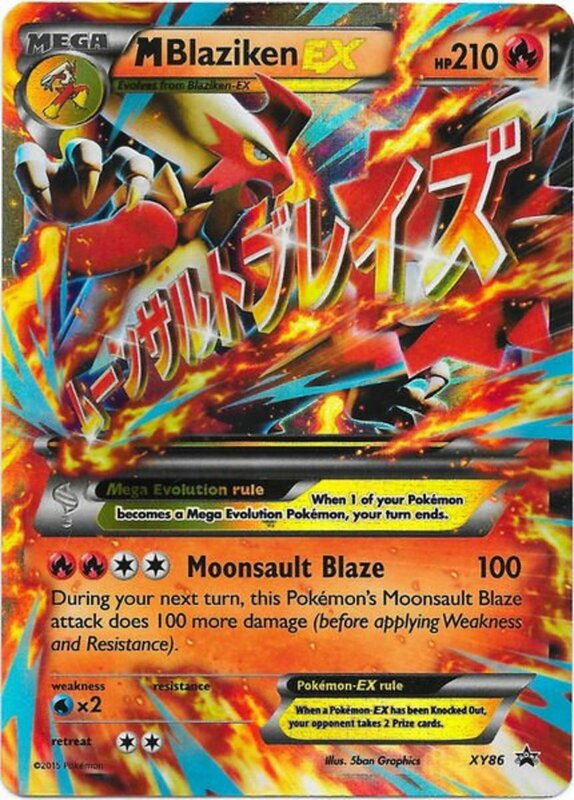 Flame Charge pulls two energy from your deck (rather than your bench), allowing easy resource gathering even early in the game, and since this move accepts energy of any color, Reshiram works well in twin-element decks. Then, once you've stockpiled for Scorching Pillar, you can land a fierce 110 damage and free burn every turn, no coin flip required. Finally, Vermillion lands a huge amount of damage while preparing your other Pokemon with energy and ranks as another of the best GX attacks in the game. With no Munchlax pre-evolution needed (since Muchlax often counts as a "baby" Pokemon), you're welcome to play Basic Snorlax immediately. As a Normal Pokemon, Snorlax fits into every deck since you can fuel his attacks with any type of energy, and 190 HP definitely impresses on as Basic. Just watch out for his hefty retreat cost of 4. Collapse (3 energy): Deals 80 damage and puts Snorlax to sleep. Thunderous Snore (5 energy): Does nothing if Snorlax isn't asleep, but can be used while Snorlax slumbers to score 180 damage. 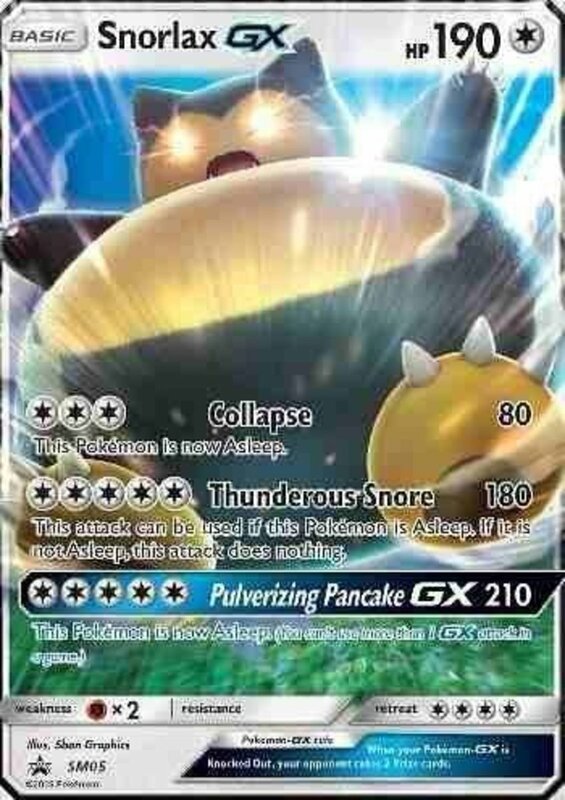 Pulverizing Pancake GX (5 energy): Crushes foes for 210 damage and puts Snorlax to sleep. Normally, falling asleep isn't beneficial since your Pokemon can't attack until it wakes up. However, if Sorlax still hasn't woken up on your next turn (there's a 50% chance to awaken at each end step) and you have five energy, a sleeping Snorlax unlocks Thunderous Snore, dealing a massive 180 damage with no drawbacks. 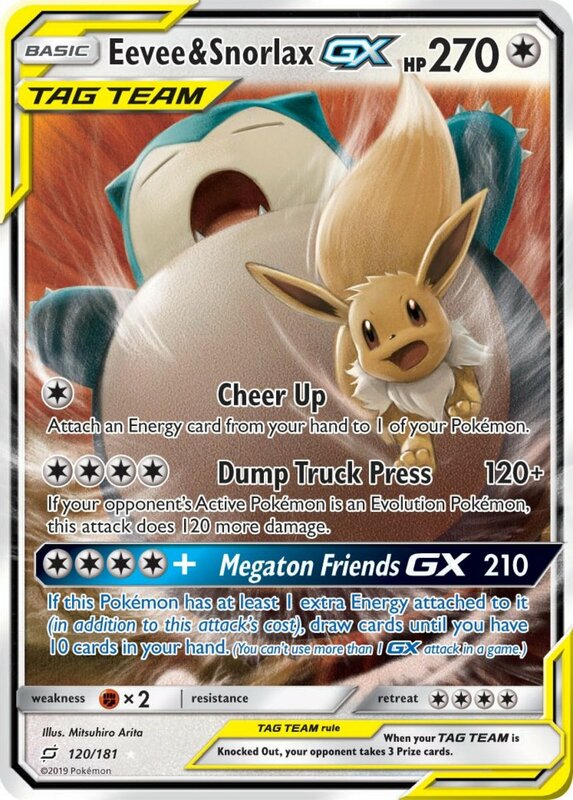 Five energy also unlocks Pulverizing Pancake, a great GX attack that both nets 210 damage and puts Snorlax to sleep, preparing it for Thunderous Snore. Use Double Colorless Energy to quickly access Snorlax's moves. Remember that in the TCG, being asleep prevents a Pokemon from being paralyzed or confused, making Snorlax's self-slumber extra useful by guarding against other status conditions. Finally, note that you can't choose to have Snorlax remain asleep; you must flip a coin at the end of every turn and abide by its outcome. As a Stage 2, Primarina must first evolve from Brionne, who evolves from Water starter Popplio, but justifies the effort with several colossal moves that work best in the late game. Also, you can retreat Primarine for just two energy and it enjoys an HP reservoir of 250. Bubble Beat (2 energy): Deals 10 damage plus 20 more for each Water energy on all your Pokemon. Roaring Seas (4 energy): Douses for 120 damage and discards an energy from the defending Pokemon. Grand Echo GX (2 energy): Heals all damage from all your Pokemon. You've got plenty of nice options here. Bubble Beat will power up for each Water energy on your Pokemon (even the bench), offering tremendous scores of 100+ later in the game. GX move Grand Echo also costs just two energy, and since both are colorless, you could even use a single Double Colorless and call it a day. While Echo doesn't deal damage, it completely heals all your Pokemon, a great recovery, especially if you've been swapping out injured allies. Finally, Roaring Seas acts as a stronger version of Lycanroc's Crunch, landing a great 120 damage and simultaneously removing an energy. Overall, a golden versatile card, Primarina operates best in pure-Water deck lists that can easily swap out comrades, lending power to both Bubble Beat and Grand Echo. While it doesn't bear a resistance, Tapu Koko also doesn't harbor a weakness (unusual on GX units), making it a useful Electric Pokemon to use against the commonly-advantaged Fighting type. Plus, a lower retreat cost of two can help if things get dicey. Also, Tapu Koko wields an ability (previously called Poke-Powers), a unique passive that's always active. Aero Trail (Ability): When you play this card to your bench from your hand during your turn, you may move any number of Electric energy from your other Pokemon to Tapu Koko. If you do, switch Tapu with your active Pokemon. Sky-High Claws (3 energy): Shocks for 130 damage. 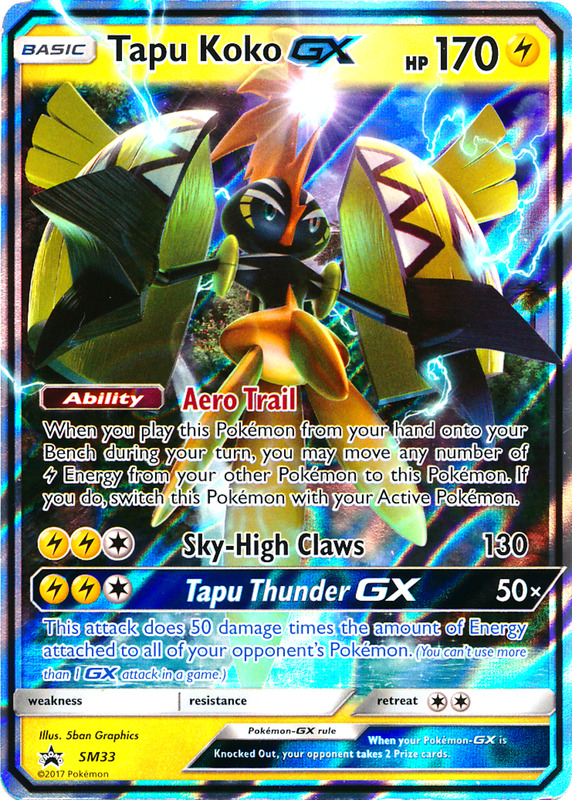 Tapu Thunder GX (3 energy): Deals 50 damage times the amount of energy attached to all opposing Pokemon. Aero Trail is a great way to relieve a weakened team member and transfer its energy to Tapu Koko, immediately prepping for a counterattack. Thanks to this resource management, you should easily accumulate the three energy needed for Koko's two attacks, letting you save surplus cards for other creatures. Sky-High Claws nets 130 damage; no side effect, but a formidable attack value on a Basic Pokemon. Tapu Thunder deals 50 damage times the number of opposing energy cards, making it a great late-game punishment that's almost certain to defeat the opposing active Pokemon. As a Stage 1, you must first evolve Scizor from Scyther, but it brandishes a great ability, two excellent moves, a retreat cost of just one, and a rare resistance (on a GX card) to Psychic. Watch out for Fire attacks, though. Danger Perception (Ability): If this Pokemon's HP is 100 or less, its attacks do 80 more damage. 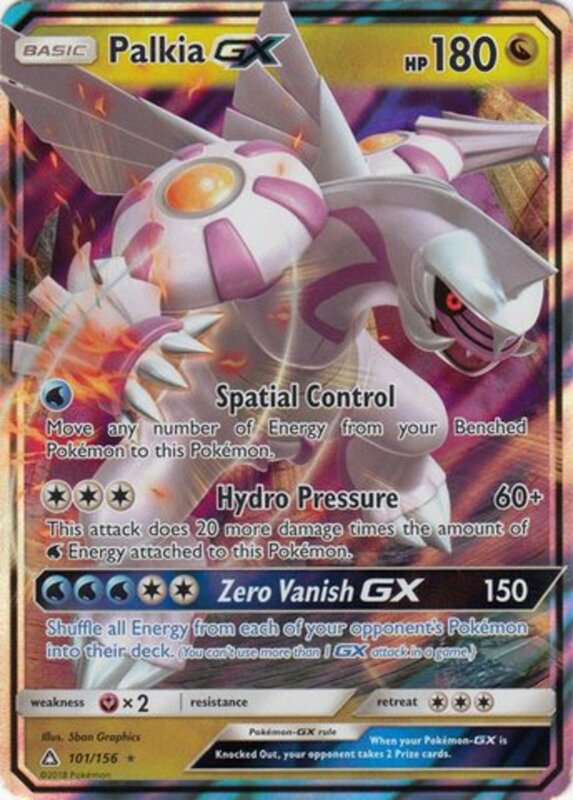 Cross-Cut GX (3 energy): Deals 100 damage plus 100 more if your opponent's active Pokemon is evolved. Danger Perceptions works great at turning Scizor from fierce to lethal when its HP runs low; thankfully, with Steel Wing's damage-reduction, your opponent will struggle to one-shot Scizor and you'll be enjoying heaps of extra damage. Steel Wing bestows a great attack for just two energy, seizing a respectable 80 damage (or 160 with Danger Perception) and guarding against 30 on the next turn. 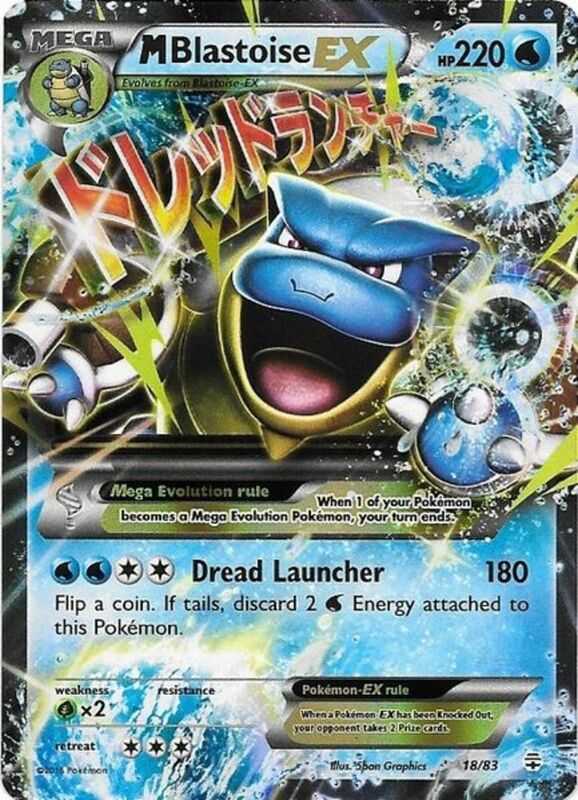 Only use Cross-Cut against evolved Pokemon, where it'll score a fierce 200 damage, or a monstrous 280 with Danger Perception, a great counter against the game's best Mega HP-tanks. Also note this moves accepts energy of any type, and with attack costs of just two and three, Scizor saves energy for other allies who need it. Spike Cannon (1 energy): Flips four coins and deals 30 damage for each heads. Super Intense Poison (3 energy): Poisons the defending Pokemon, but places 10 counters on them instead of 1 between turns. 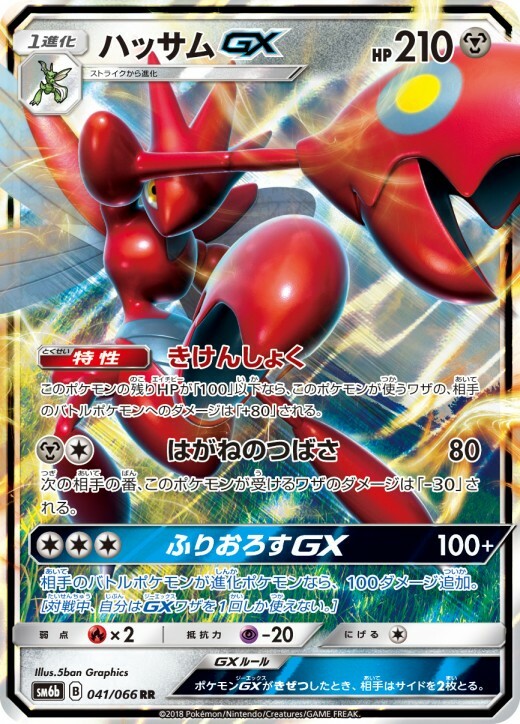 Total Shelter GX (3 energy): Deals 150 damage and prevents all effects of attacks done to Toxapex, including damage, during your opponent's next turn. Spike Cannon's average of 60 is lukewarm, but it's a nice way to spend your turn if you're still gathering energy or have already used Super Intense Poison. Speaking of which, ten poison damage between turns! That's an immediate 100 as soon as your turn ends, then 100 more for as long as your opponent doesn't evolve, switch out, heal the condition with Trainer supports, or simply faint. Remember, Poison can stack with other conditions, so you can use this deadly ability even alongside other debuffs. 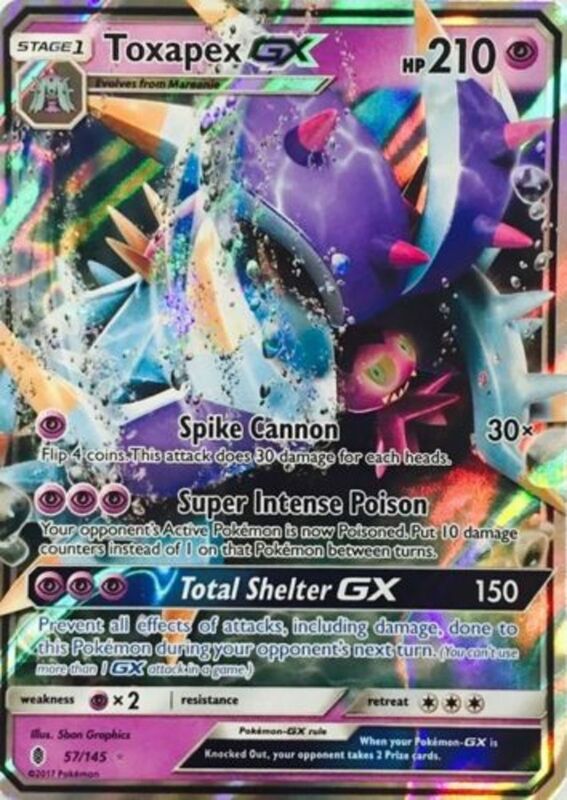 Total Shelter offers yet another of the game's best GX strikes, simultaneously earning a fierce 150 damage and completely shielding Toxapex on your next turn. Finally, Toxapex's yet another Pokemon who only needs three energy to access all moves, conserving resources for other companions. Guzzlord packs a daunting 210 HP for just a Basic Pokemon, and while he's weak to Fighting and suffers a retreat cost of four, he resists Psychic and amasses energy at monstrous rates. He also counts as an Ultra Beast, comboing with other name-dependent effects. Eat Sloppily (1 energy): Discards the top five cards of your deck and attaches any energy from them to Guzzlord. Tyrannical Hole (5 energy): Lands 180 damage. 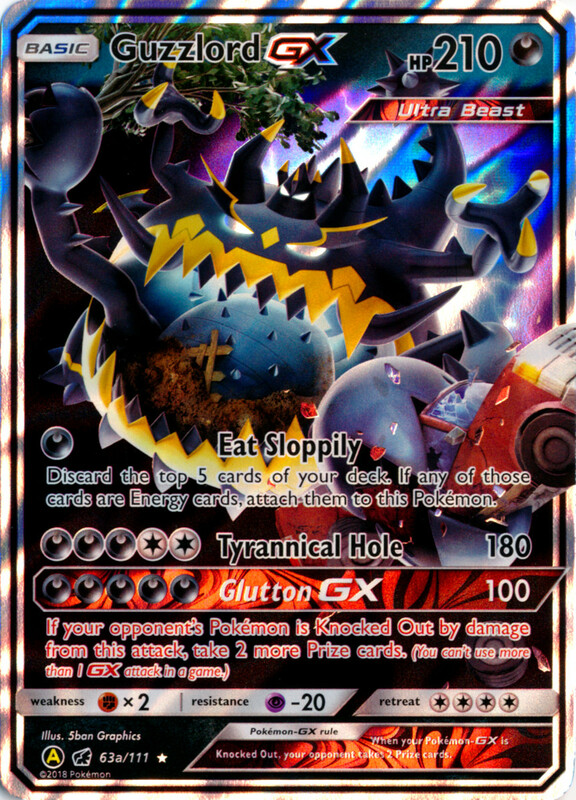 Glutton GX (5 energy): Deals 100 damage and takes two extra prize cards if the target was knocked out. Yikes. Eat Sloppily will usually pull 2-3 energy from your deck and stock your graveyard, excuse me, discard pile with other units you can recycle. After one or two feedings (plus your natural energy attachment per turn), you can wield Guzzlord's next attacks, both of which need five energy but offer vast power. Tyrannical Hole has no bonus effects but boxes out 180, an amazing score on a any Pokemon, especially a Basic. GX move Glutton' s 100 pain is actually weaker, but the ability to take two extra prize cards on a kill can really end matches ridiculously early. If you vanquish an EX or GX card, you're stealing four of the the six necessary prizes to win with just one knock out! Shining Mane (Ability): Each of your Pokemon (including Solgaleo) has no weakness. Turbo Strike (2 energy): Deals 120 damage and attaches two basic energy cards from your discard pile to one of your benched Pokemon. Prominence GX (2 energy): Heals all damage from all your Pokemon. Shining Mane is Solgaleo's greatest boon, negating the weaknesses of all your Pokemon and preventing them from suffering double damage. Remember, Pokemon abilities work from the bench unless stated otherwise, making Solgaleo an excellent support unit even while in reserve! Turbo Strike is another highlight, not only landing a solid 120 damage but attaching two energy from your discard pile to a benched ally. 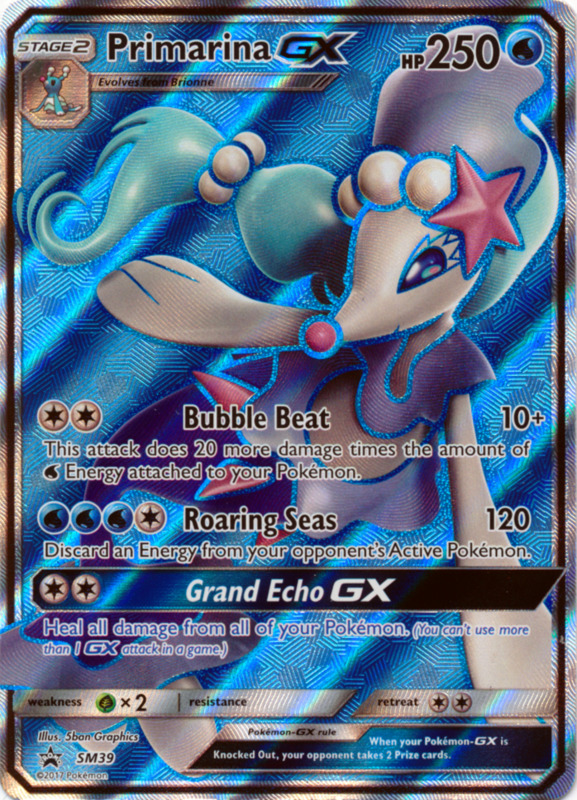 GX move Prominence copies Primarina's Grand Echo exactly and simply heals all damage from all your Pokemon. A stellar ability and two great attacks, each of which costs just two energy? Yes please. And since the needed energy are colorless, Solgaleo can fit into any structure and attack using just a single Double Colorless card! 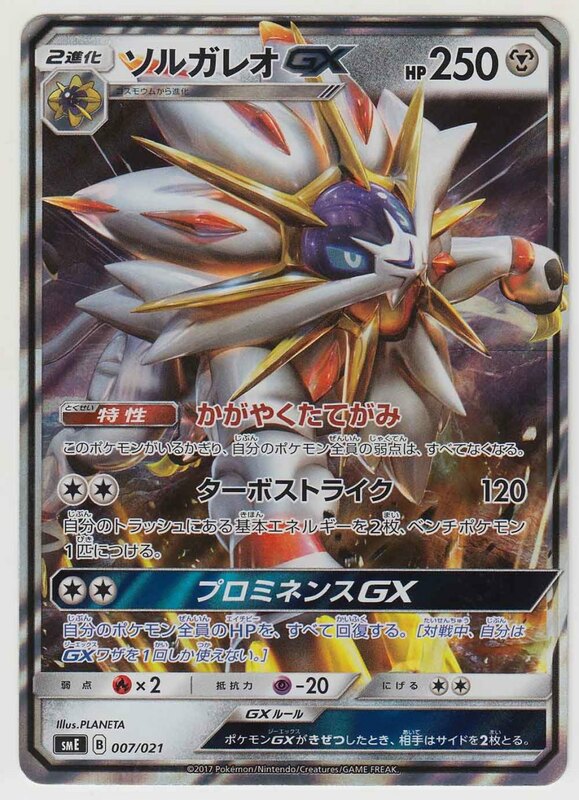 Solgaleo is one of the best legendaries in the video games, and thankfully, that power crosses over to the TCG. More than just a new gimmick, GX cards are insanely useful in competitive play, especially when their base attacks already justify the price of admission. 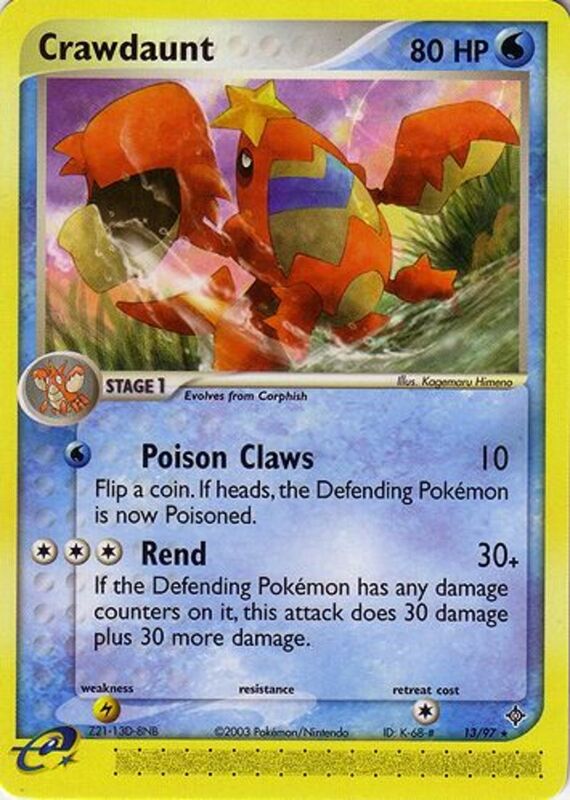 I also appreciate how the Pokemon TCG has dampened one of its biggest issues by slowly reducing the prevalence of coin flips, making your battles less luck-dependent. It wasn't easy narrowing the list of awesome GX monsters to just ten, and we'll undoubtedly return to cover more intimidating monsters in the future. But for now, as we eagerly await Nintendo's next expansion of one-shot techniques, vote for your favorite card and I'll see you at our next Pokemon countdown! Yay! I got a toxapex gx from a tin! Pichachu!Pichachu is my favorite Pokémon of all time!